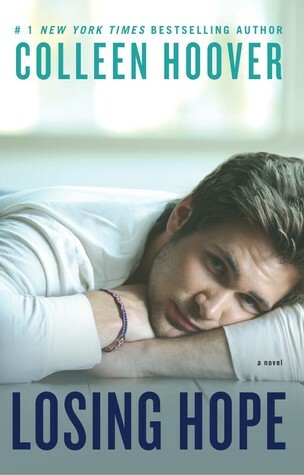 In the follow-up to Colleen Hoover’s Number One New York Times bestseller Hopeless, the charming and irresistible Dean Holder tells the passionate story that has melted thousands of hearts. Dean Holder has lost everything now, and he blames himself. Les, Dean's twin sister, has just taken her life, and he's the one who found her. Upon finding a blank diary in Les' bedroom, Dean starts to write a series of letters to his deceased sister, in the form of diary entries. The last time he had felt so destroyed, is when he lost Hope thirteen years ago. Hope, the quiet little girl from next door, was snatched while she cried in her garden. Dean couldn't stop her being taken, any more than he could have prevented Les taking her own life. Holder, as Dean prefers, has just arrived back in town after an incident and time living with his father, he stumbles across Sky. Sky is beautiful, but more so, she is the image of Sky. It isn't until Holder comes to terms that she cant be the girl next door all those years ago, that he's been searching for her. He can't save Les, but he has never been afforded closure with Hope's disappearance. But when the pieces start clicking together, Holder realises hoe wrong he was, and wants nothing more than for the girl that he's fallen in love with, to simply be Sky. He can't tell her that she was taken, or how her father looked for her, how the media dubbed him 'The boy who lost hope' and he certainly can't tell her that she's been missing for thirteen years... That he's searched for her for thirteen years. But when Sky confronts her past, Holder never expected his world to come crashing down again. This time, he's stronger, more resilient, and he isn't hopeless anymore. Hopeless was easily the most heartbreaking, devastating, yet heartwarming and emotional book that I've read to date, and Losing Hope is no exception. Told from the viewpoint of Dean Holder, conversing in one sided conversations with his twin, who had only just committed suicide. Readers are able to relive the moment Holder meets Sky, and falls I'm love with her all over again, but also the aftermath of the overdose. Colleen Hoover is simply brilliant. She guides her readers down the path where she lures us onto an emotional roller coaster, then watches us all fall apart. But you know as the ride is slowing down, almost over, she'll take your hand, stroke your hair and whisper the happy ending you so desperately cling to until she lures you onto the next ride. All in a day's work at Hoover World. But hell, I can't wait to visit again.